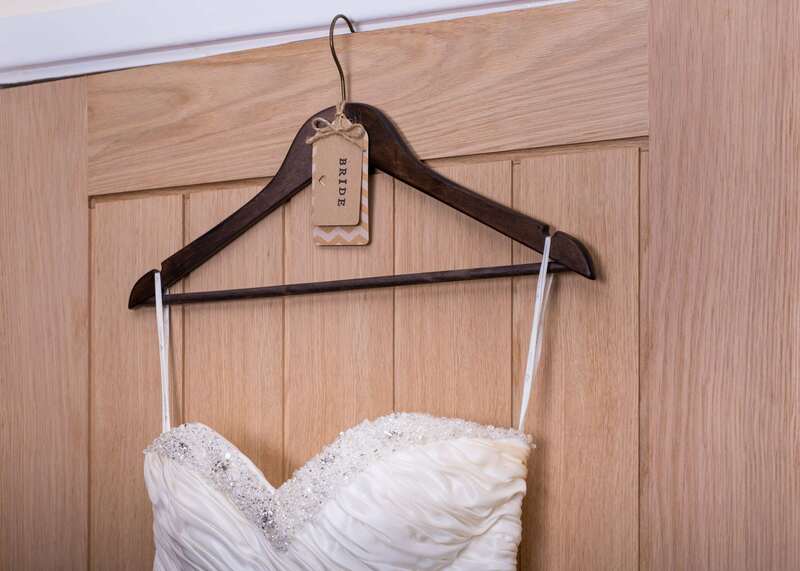 This beautiful wedding hanger is made using a superior quality vintage wood hanger with antique bronze hook. 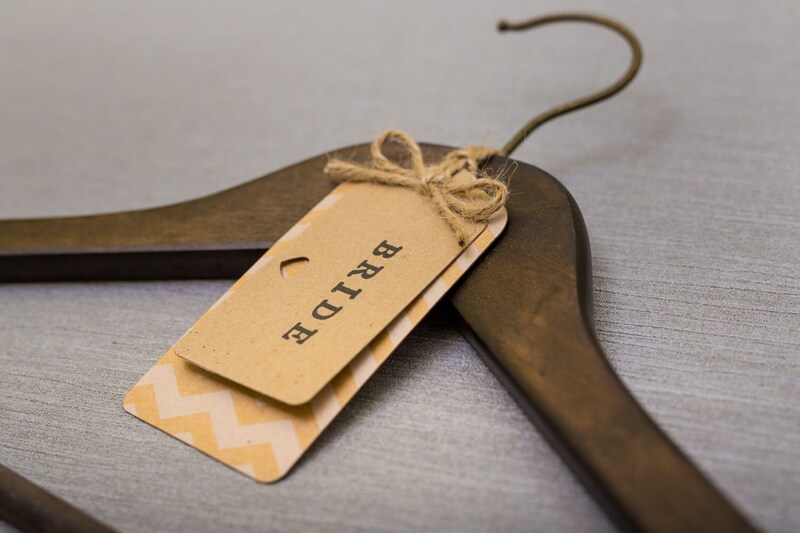 The hanger is finished with a hand die-cut, scalloped edged, Chevron Kraft Card label, a personalised hand stamped coordinating label and hand tied with jute twine for the final flourish. 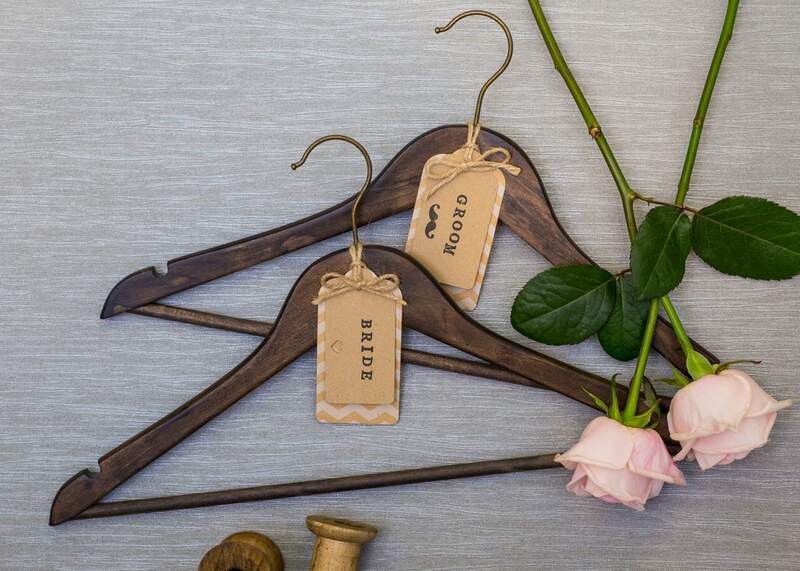 These bespoke hangers are both contemporary and modern in design and well suited to the entire bridal party. 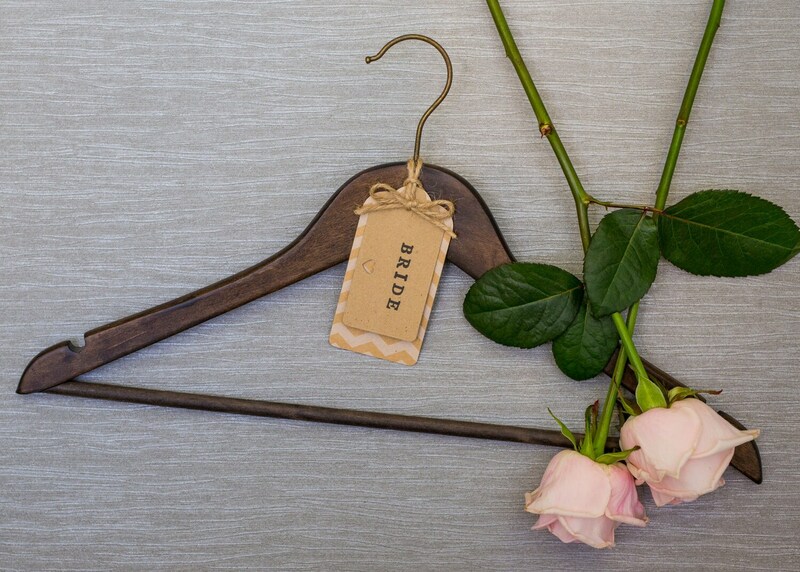 All hangers are hand-made to order so please allow 2-3 weeks for delivery, in you do need the hangers in a shorter timescale though do let me know and I'll do all I can to accommodate.